Bolashak: Innovative Education for the Future Prague, Czech Republic, 2006. 3 Analysing the past Fourteen years of independence as the first life cycle for the country. GDP for 2005 - US$ 41 bln. 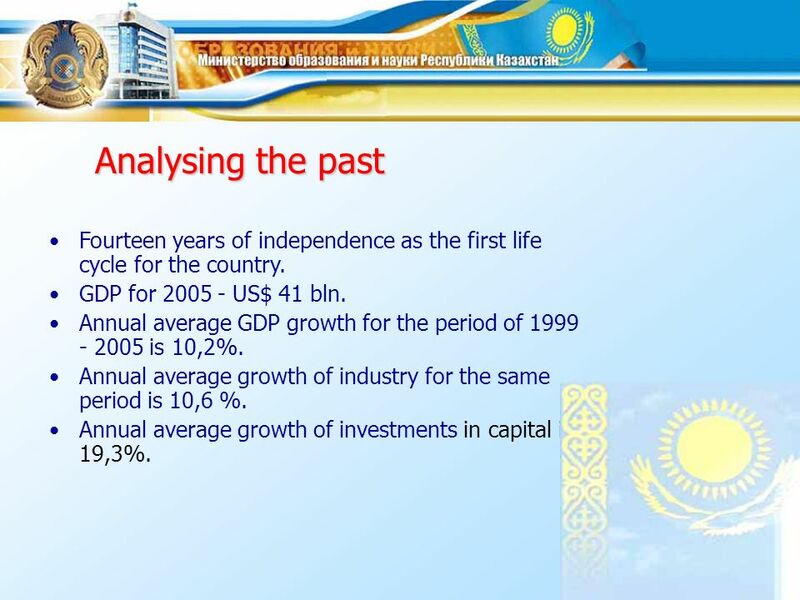 Annual average GDP growth for the period of 1999 - 2005 is 10,2%. Annual average growth of industry for the same period is 10,6 %. Annual average growth of investments in capital is 19,3%. 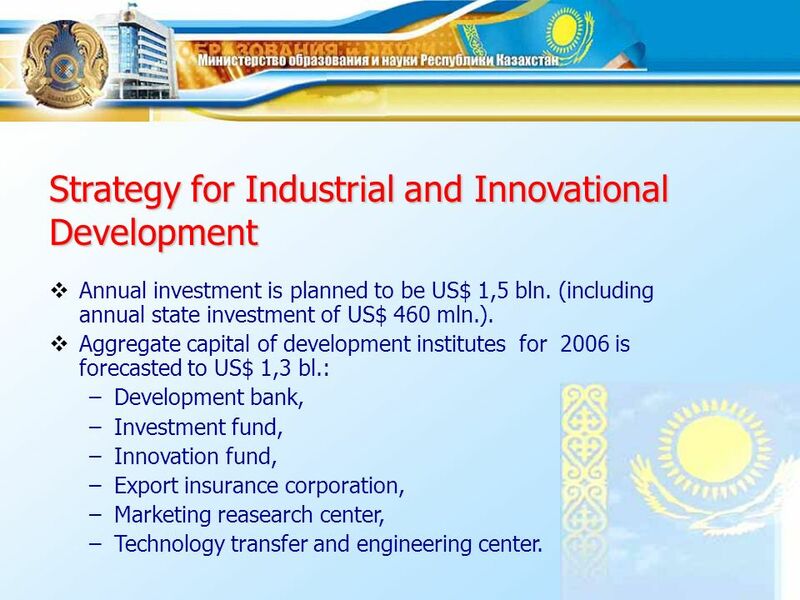 5 Strategy for Industrial and Innovational Development Annual investment is planned to be US$ 1,5 bln. 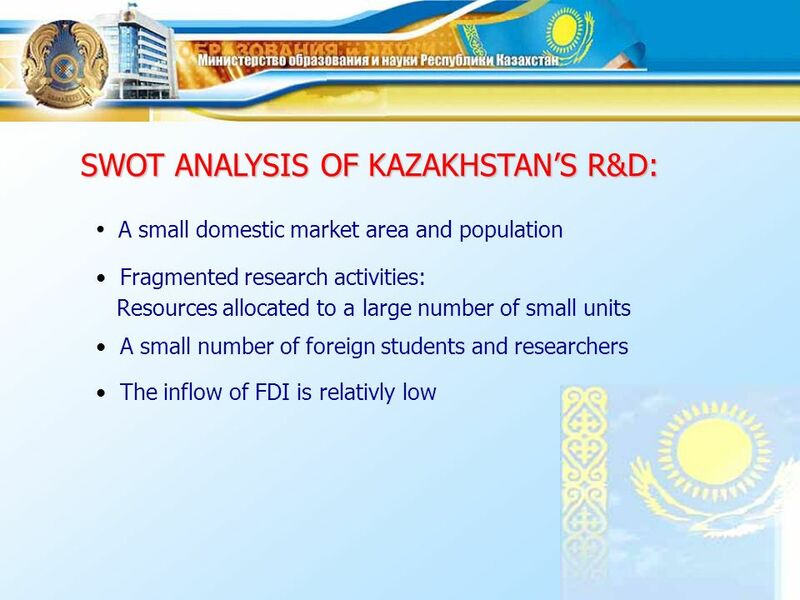 (including annual state investment of US$ 460 mln.). 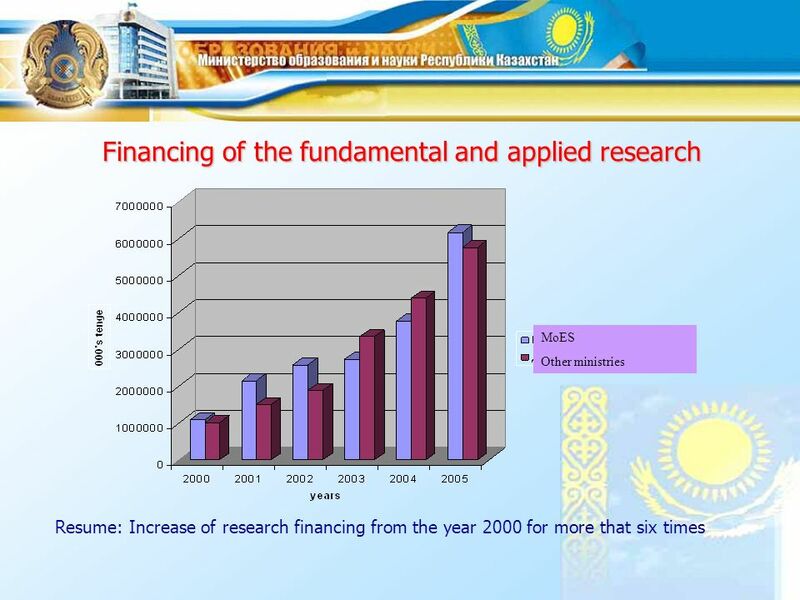 Aggregate capital of development institutes for 2006 is forecasted to US$ 1,3 bl. 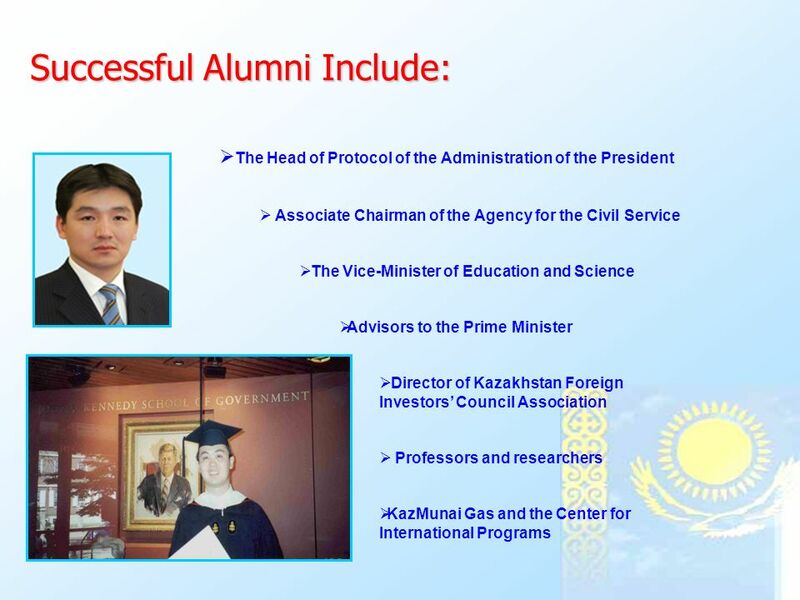 : –Development bank, –Investment fund, –Innovation fund, –Export insurance corporation, –Marketing reasearch center, –Technology transfer and engineering center. 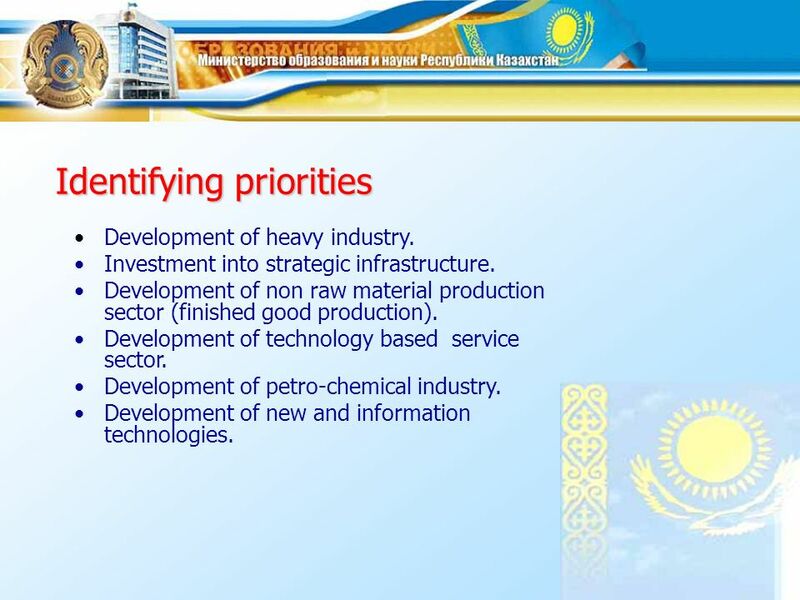 6 Identifying priorities Development of heavy industry. Investment into strategic infrastructure. 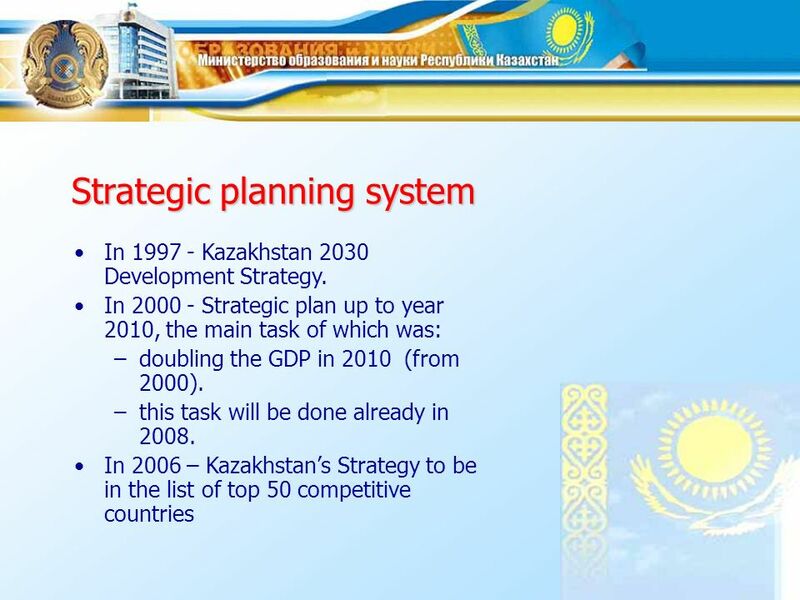 Development of non raw material production sector (finished good production). 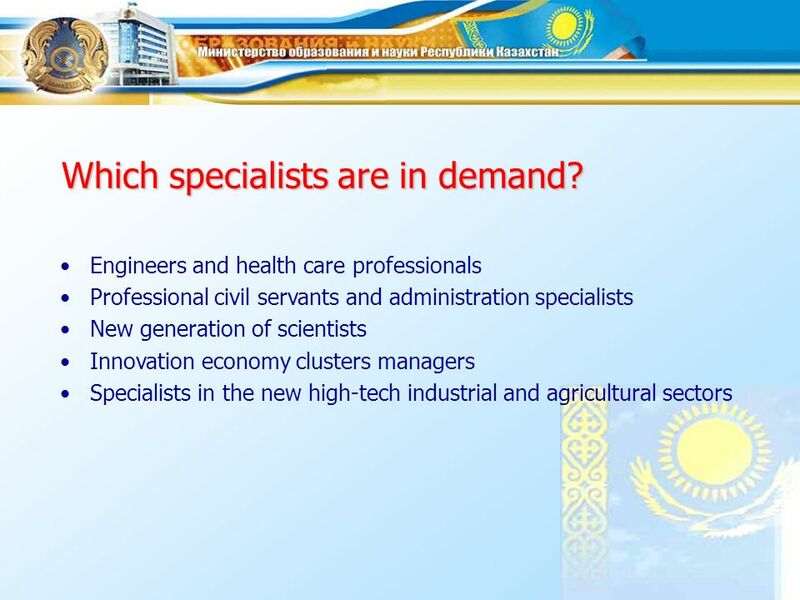 Development of technology based service sector. 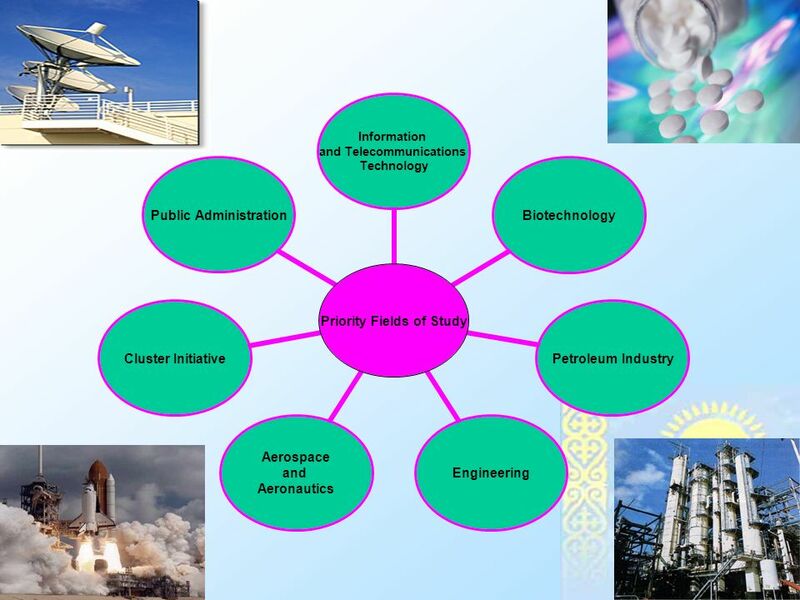 Development of petro-chemical industry. 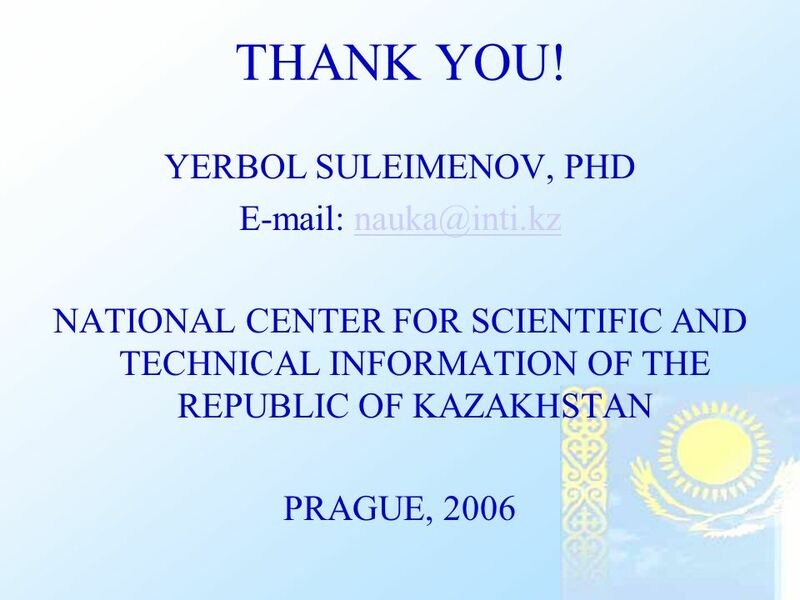 Development of new and information technologies. 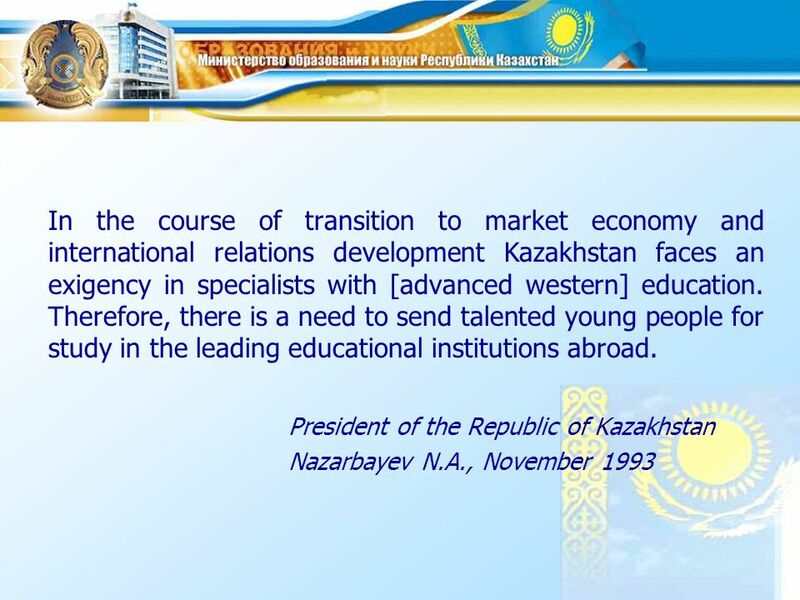 7 One of the main priorities is EDUCATION In order to maintain Kazakhstan economic leadership, we must ensure a continuous supply of highly trained and educated specialists and numerically literate population. 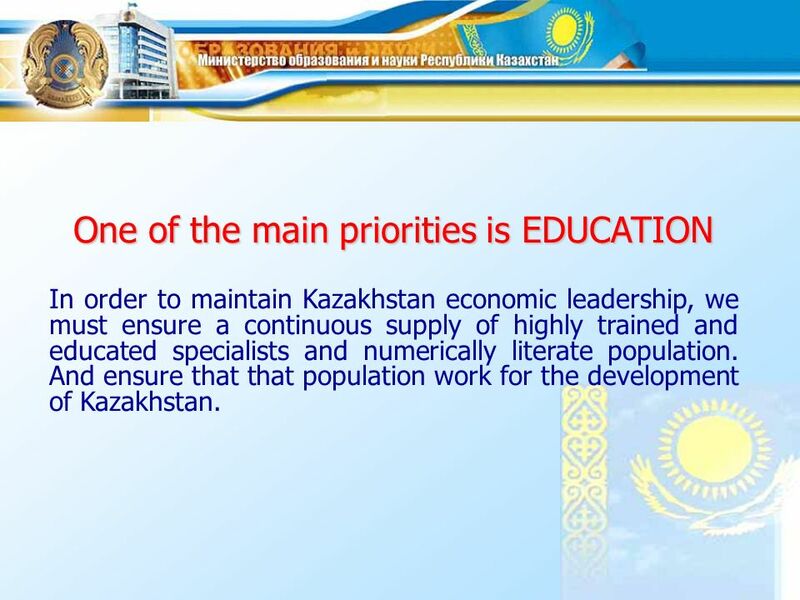 And ensure that that population work for the development of Kazakhstan. 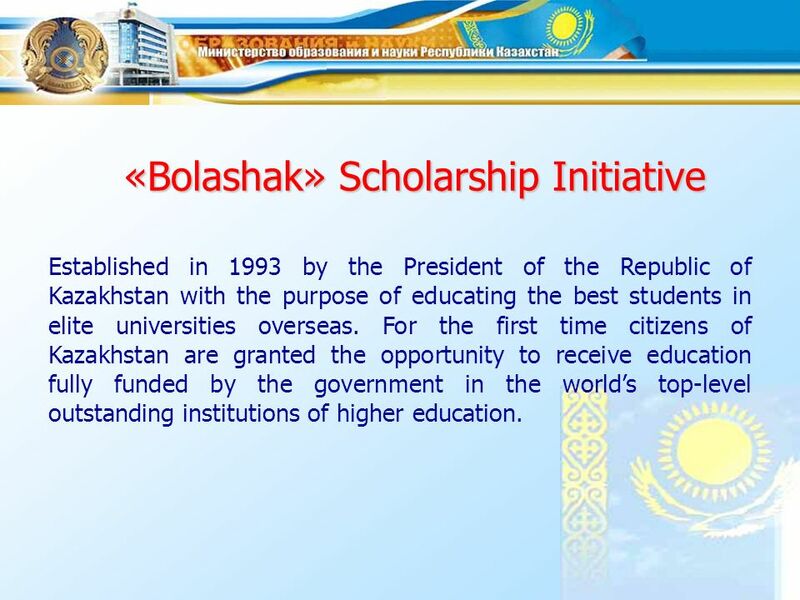 9 «Bolashak» Scholarship Initiative «Bolashak» Scholarship Initiative Established in 1993 by the President of the Republic of Kazakhstan with the purpose of educating the best students in elite universities overseas. 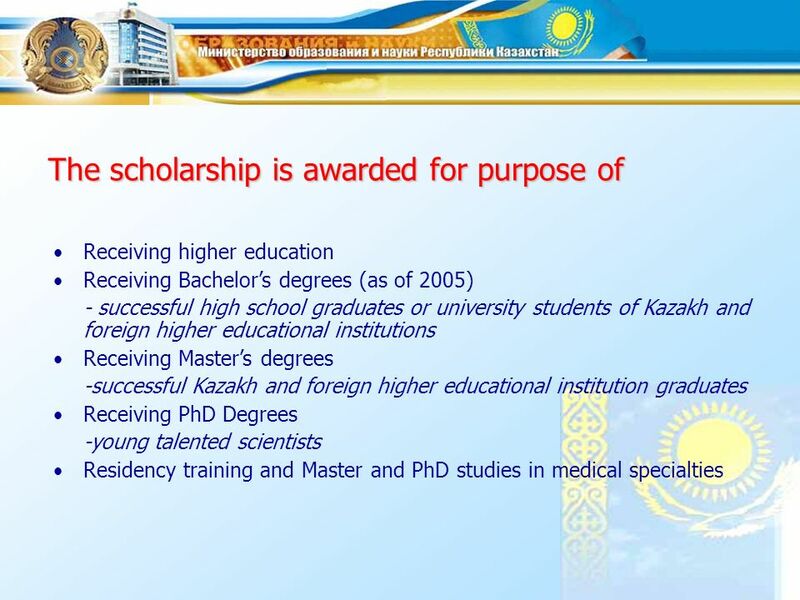 For the first time citizens of Kazakhstan are granted the opportunity to receive education fully funded by the government in the worlds top-level outstanding institutions of higher education. 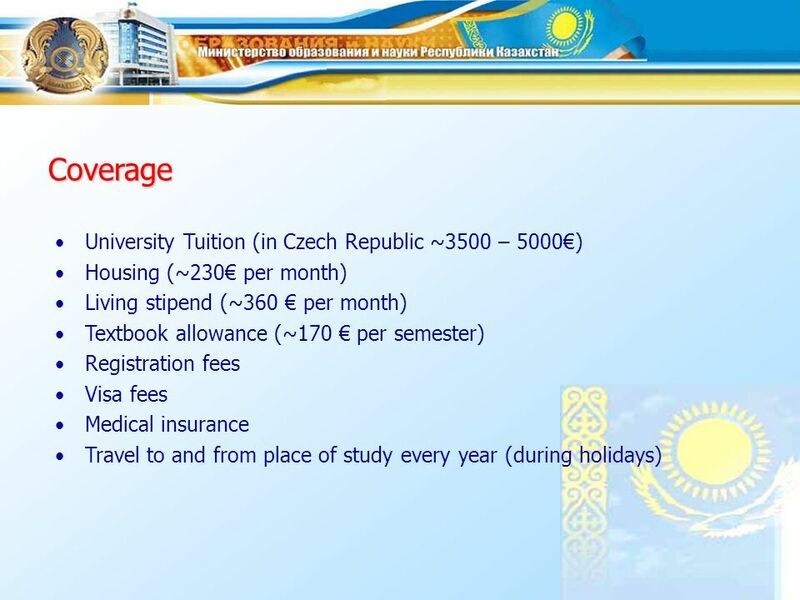 Download ppt "Bolashak: Innovative Education for the Future Prague, Czech Republic, 2006." 1 © NOKIA Stocholm/ /EO. 2 © NOKIA Stocholm/ /EO Issues Evolution of Innovation Policies Systemic approach Business perspective Future. Development and Coordination of an Erasmus Mundus Joint MSc – Global Innovation Management Ross Maclachlan, Martin Gregory University of Strathclyde. Facilitating higher education mobility for the future views from Japanese context Akiyoshi Yonezawa CAHE, Tohoku University 1. The New Economy in Indianapolis The New Economy in Indianapolis Rob Atkinson Vice President and Director, Technology and New Economy Project Progressive. SCIENCE, TECHNOLOGY AND INNOVATION INDICATORS. 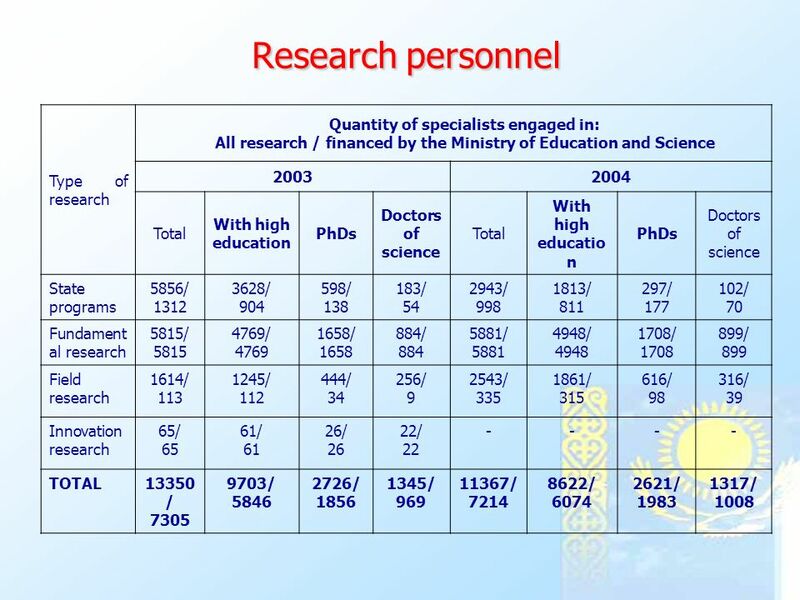 1-Industrial sector: generally the results of scientific researches are still little, and non-existent. Towards Science, Technology and Innovation2/10/2014 Sustainable Development Education, Research and Innovation Vision for Knowledge Economy Professor Maged. SIMPLY CLEVER Ing. Martin Jahn Member of the board of management ŠKODA AUTO a.s. 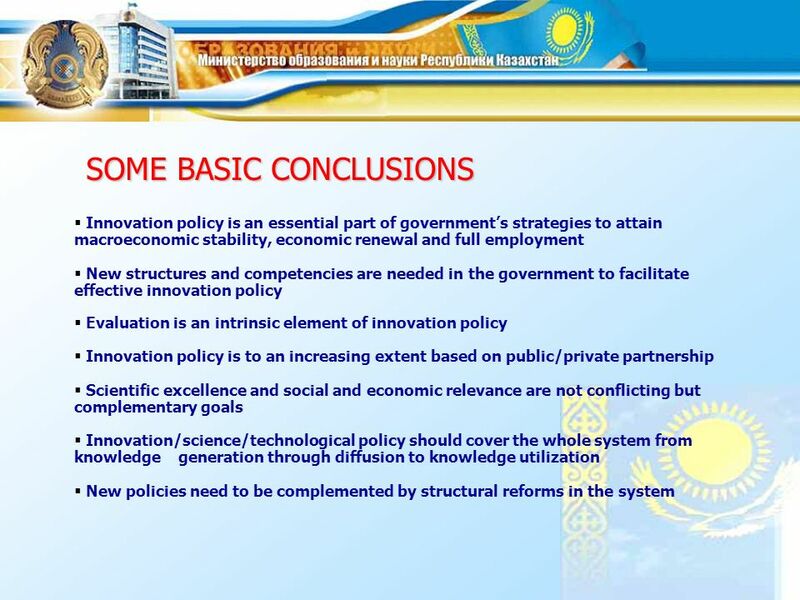 KNOWLEDGE ECONOMY FORUM V Innovation and Technology Absorption for Growth. © 2008 IBM Corporation IBM Government Programs | Movement of service providers - Intra Company Transfers Jolanta Jaworska Government Programs Executive. 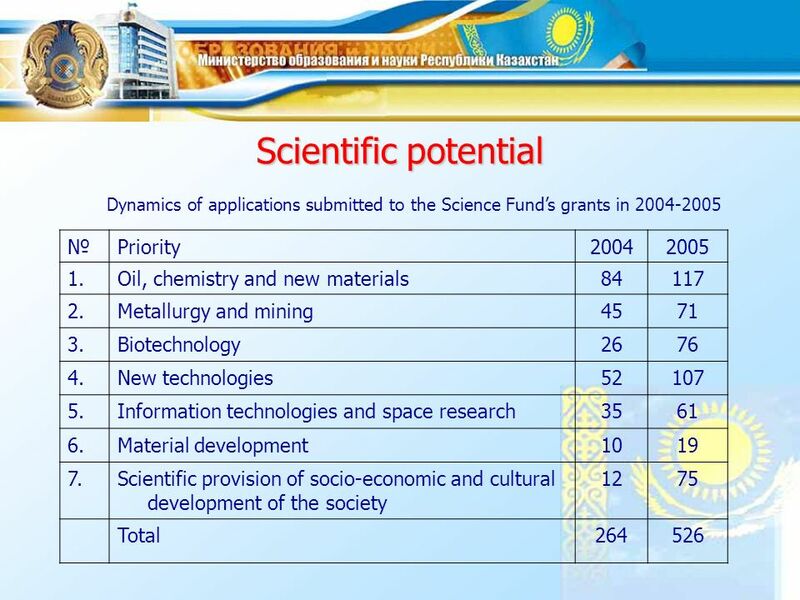 "Reforms in Science and Development in Georgia - Activities of Georgia National Science Foundation" Natia Jokhadze Director of GNSF International Science. 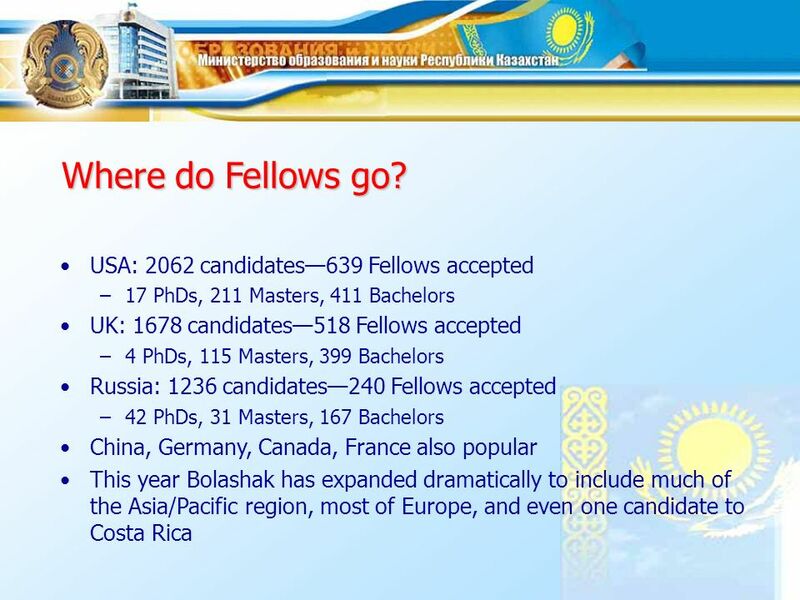 Masters and PhDs Scholarships. Created by PRONABEC February 13th LEGISLATURE CONGRESS OF THE REPUBLIC LAW N°29837 THE PRESIDENT OF THE REPUBLIC. Higher education policy, main developments in Europe Empower European Universities Annual conference The State of Universities for Progress Parkhotel. Do our Graduates have the Skills for Innovation-led Economic Growth Prof Mary McNamara Dublin Institute of Technology, Ireland Steering Committee, Council. 1 Chapter 20 New Horizons. 2 Understand the many changing dimensions that shape international business. 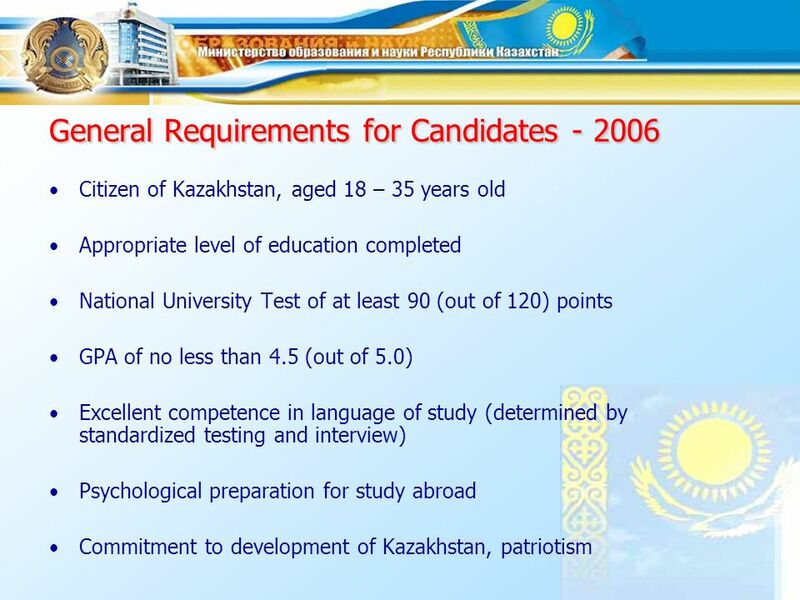 Learn about and evaluate the international business.